During the process of making our putters, we create a small amount of scrap. 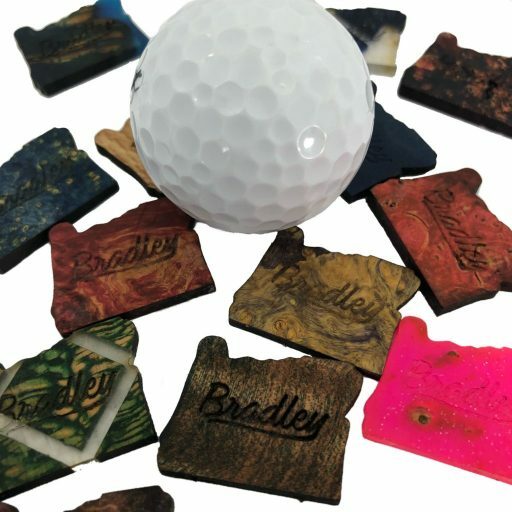 Rather than discard them, we sand them down and laser cut them into the shape of Oregon, home of the Bradley Putter Company. Each marker is completely unique and special, and will have special character. Grab a handful for you and your golf buddies! If you're gonna pay to ship one, why not get a few more?